When most of us walk into a hotel room, we feel relief, assuming you’re not a germaphobe. Ahhhh, vacation! The room is organized, comforting, alluring and you don’t have to do a thing to maintain it (that is someone else’s job). A similar feeling arises in a staged home. Staged homes are organized for flow and to help potential buyers imagine an easy, care free lifestyle in this new home. I am often confronted with homeowners who feel stuck in their homes, amidst their sea of belongings. More often than I like, the first step I have to suggest is to get rid of some of the clutter. It’s not the magic words my clients want to hear, but I have yet to experience an individual who has regretted the cleansing process. It’s so easy to start collecting things, most people don’t even realize they’re doing it. A few unwanted gifts, things we might need down the road (but never actually do) or items we plan to deal with but forget to ever get around to. All this unnecessary clutter increases stress, reduces productivity and keeps people from having a home they love. Can’t get rid of the nagging feeling you are never done working? It might be that pile of papers on the counter catching your eye every time you walk by. Here are my declutter suggestions. Set aside time strictly dedicated to identifying unnecessary items in the house. You can set aside a weekend or maybe do 20 minutes a day and move through rooms as you complete them. Do not move to a new room until you have completed the current room, otherwise you’ll likely lose progress and motivation. Make sure everything has a place! I know, there are always those items that just don’t seem to fit anywhere; there is a solution. This article helps you categorize and organize those miscellaneous items. Realize that not everything thing needs to be hidden, but needs to appear to be there on purpose. Look for multipurpose furniture, like a coffee table with storage or organize your collections in a unique way. 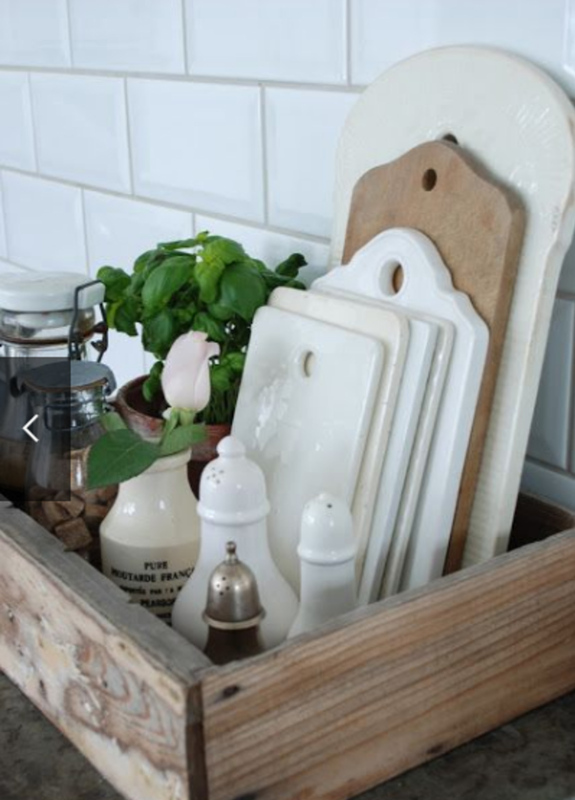 The photo below from this House Beautiful article shows how everyday items can be on display, but still look clean and organized. Once you have chosen the items that no longer bring value to your home, get them out of the house. Donate, sell or whatever you need to do before you lose steam. What tends to happen is that once people have identified what they don’t want, it gets stowed away somewhere so they don’t have to look at it. That means it is taking up valuable storage space for items you do need. Once unneeded items have been identified, give them the boot ASAP. There you have it. 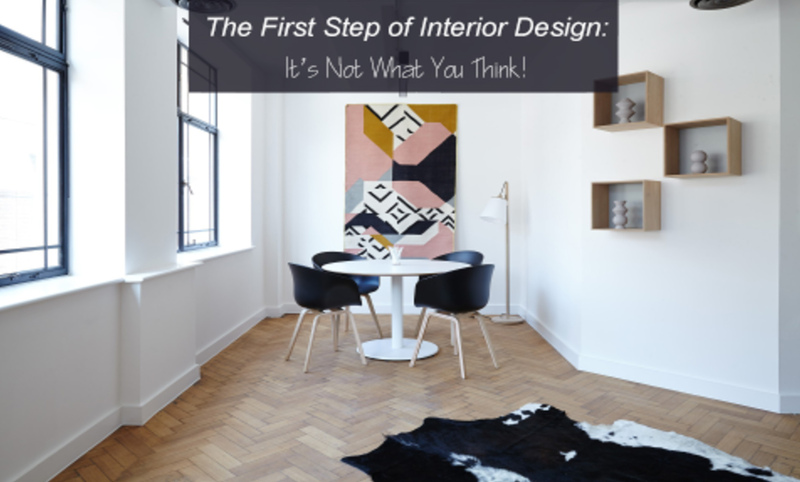 The first step all homeowners should use when designing and decorating their space. Do it, and you just might love your space all over again.